On 9th August Sri krishna Jayanti was celebrated. 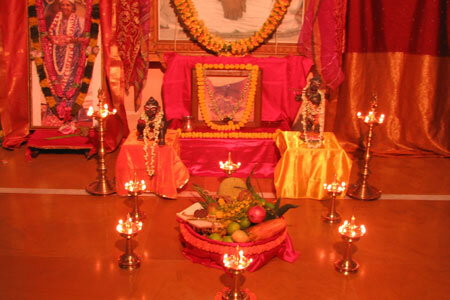 The Kolkata Ashram devotees decorated the puja altar with Bala Krishna idols and sang bhajans in the evening. The Bhajans culminated in Aarati to Krishna singing ‘Aarati Kunj bihari ki..’ and the prasad was distributed to everyone present. The members of GreenFriends initiative of MAM Kolkata celebrated the world environment day by distributing Tulasi plantains to the devotees. 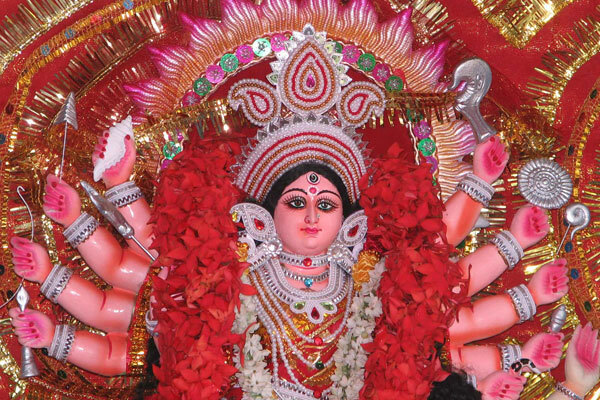 About 200 saplings were distributed among the devotees. The planet Brihaspati transited from Mesh rasi to Rishab rashi on 17th May. 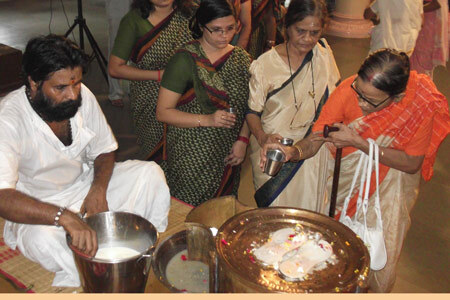 On 13th May Sunday a special Guru transit homa was conducted for the benefit of the devotees. 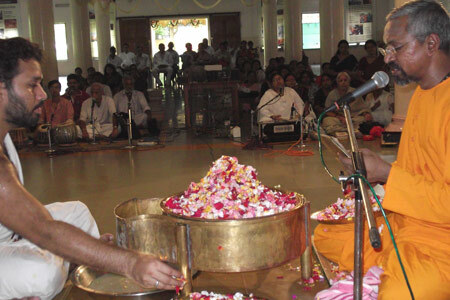 The homa was accompanied by puja, satsang and bhajans led by Br. 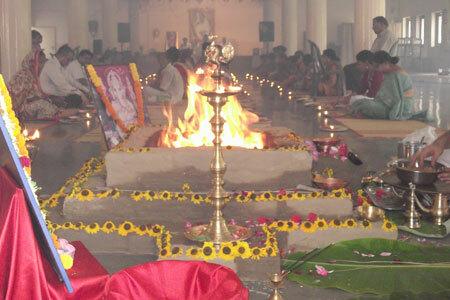 Nijamrita Chaitanya.The homa culminated with devotees offering the homa dravya in the fire. This was followed by annadanam and prasad distribution.